As well, the esplanade is designed to symbolize oriental theory of 3 agents: Heaven, Earth, Man (Thien, Dia, Nhan respectively). Each is represented by one terrace with distinctive color and shape: circular blue heaven, square yellow earth. The bottom terrace is square and red-painted which stands for Man, as there is a phrase “red child” (xich tu – con do) to call the normal people. 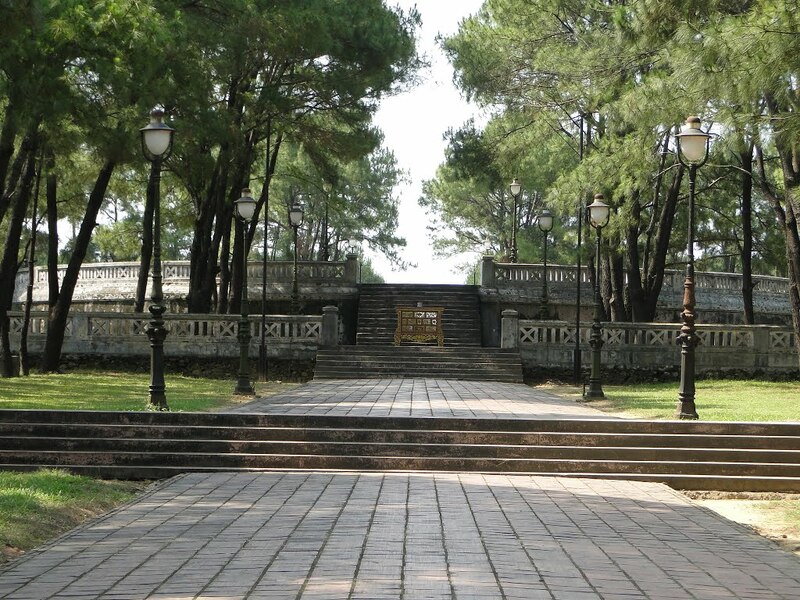 The top terrace (Heaven) is the place to hold offering ceremonies to God, Earth and Nguyen Dynasty’s ancestors and also called Vien dan. The middle one (Tung dan) is for worshipping the Sun, Moon, Stars, Cloud, Rain, Wind, Lightning, Year and Month, Mountain, Ocean, River, Lagoon, Lake, etc. and all other kinds of holy spirits throughout Vietnam. The last terrace is where to offer sacrifice. 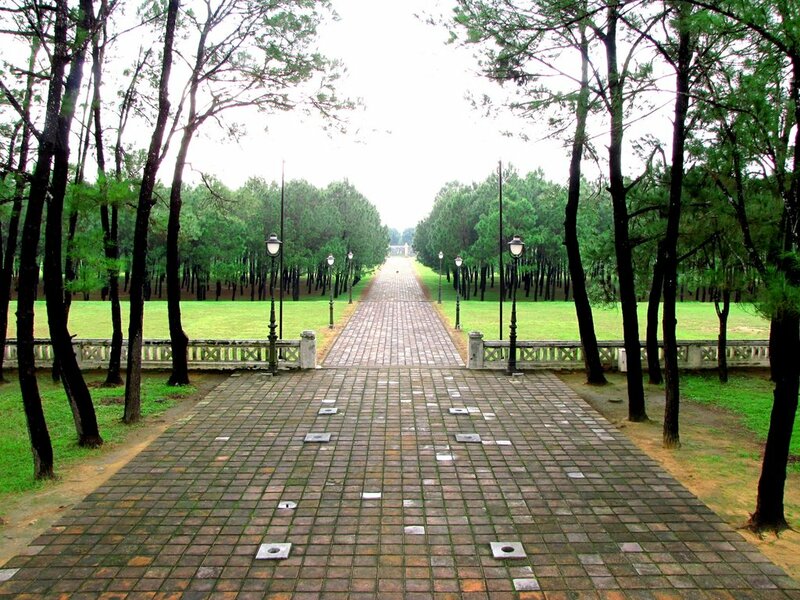 Nam Giao Esplanade plays a very important role in religious and political life of Nguyen Dynasty. It took the Protocol and Administration Ministries many months to prepare for the ceremony. 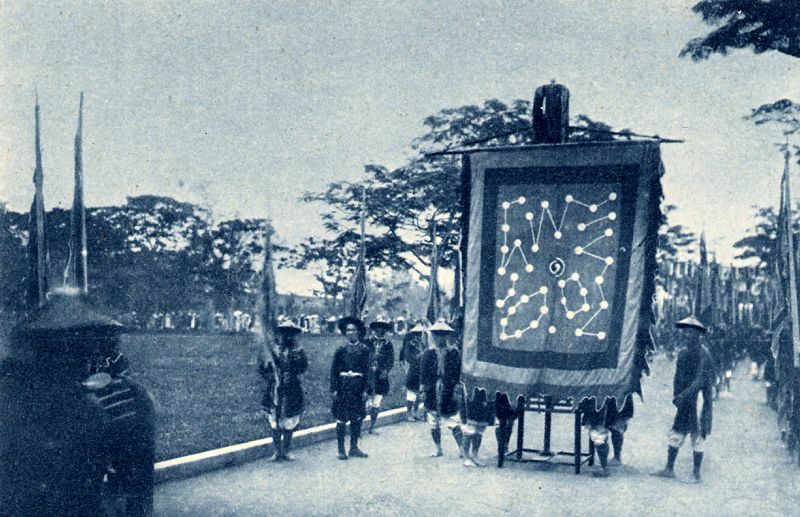 Before the sacrifice offering day, all villages and communal in Thua Thien-Hue had to complete making triumphal arches, to put alters on both sides of the route where the Emperor would pass by from Ngo Mon Noon gate to Trai Cung. During the ceremony, big flags with different colors were hung on all four doors of the esplanade: black flags on the north door, blue on the east, red on the south and white on the west. The kings often had to operate the ceremony on his owns. In case he wasn’t capable, his son or one of his mandarins would be ordered to take this task. The royal ceremony is especially often restored on the occasion of Hue Festival (in 2002, 2004 and 2006 already), to pray for a peaceful country and prosperous people. This is a particular performance you can’t find anywhere else. Similar ceremony will be held again in Festival Hue 2012, which will take place on April.